I don’t make New Year’s resolutions typically, but this year, I AM making a change in how I do things. 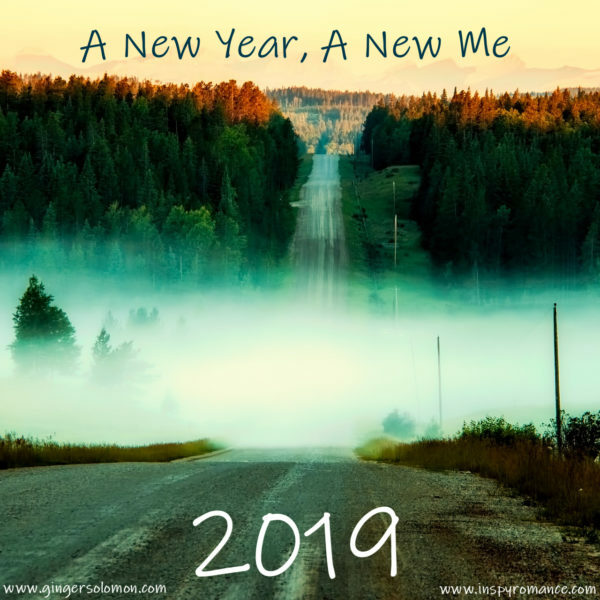 I am setting goals, personally and professionally, that I PLAN to implement this year a little at a time–not all on January 1. All of this is written in my new journal. Like the picture above, I expect to hit some rough areas during 2019. Maybe a bump in the road that derails me. Or fog that causes me to lose my way. Or maybe I’ll turn a corner and find something unexpected. All of that is part of life. If I manage to publish all of the books I have on my goals page (four in the first six months, eight for the year, if I can swing it), I will hit the 20-books-published mark. If I read two pages of a writing book per day, I will have read over 700 pages which is 2-3 writing books. Which is more nonfiction, except the Bible, than I’ve ever read in a single year. None of these seem insurmountable, which is why I like them. They’re all possible. They can be accomplished. Even all together, they are not overwhelming. When I was preparing my journal for the year, something I said a lot last year to other people popped into my head. God’s got this. I don’t have a word for 2019. Nor have I heard of a specific verse for the year, but that’s okay. Because God’s got this. He’s got me and all of my plans, which I have prayed about, btw. 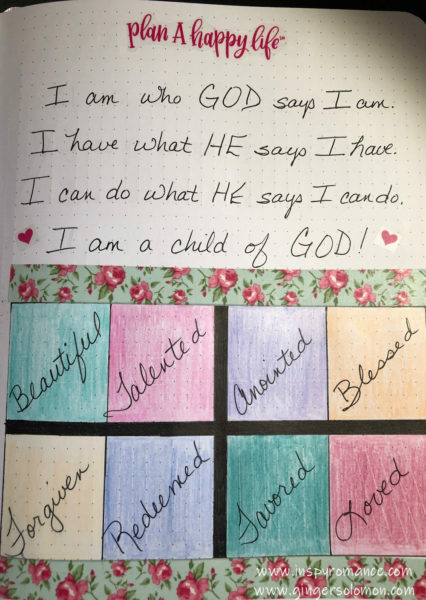 Long before I wrote them down, I asked God what He wanted of me this year. First on His agenda was my health. I’ll be 49 this year. I’ve never, ever been fit or toned. At this late stage, it’ll be hard, but I’m going to try. I’m going to eat better, and drink more water. I’m going to walk or stretch 3-4 days a week. I’m going to focus on living well and feeding my spirit before I feed my body. And you know what? By the end of 2019, I pray I can say that I did hit all the milestones listed above plus some. I want to be changed from the inside out. That’s what I want above all else. Above all the goals I’ve set–writing, reading, eating, drinking, and exercising. I want to be consumed by God. I want EVERYTHING that I do in 2019 to be focused on Him, for Him, because of Him, in obedience to Him. I want to LOVE Him more. Hi Ginger, God’s blessings to you as you begin a new year and pursue your goals. I love that at the foundation you have God first. Hi Wemble! Happy New Year! Having raised 3 sons – the oldest is 40, you will be in my prayers and I still pray to exercise patience with my sons and now grandsons ages 11 & 13. To make it through the tween and teen years, I learned to count to ten before I spoke. This helped me formulate a loving response. Blessings and may God grant you patience. May God give you the boldness you desire as you seek to stand up for yourself, your family, and your beliefs. Happy New Year, Ginger! Thank you for sharing your goals for 2019 with us. I will be praying that you are able to accomplish them all! I am not much of a new year new plan kind of person. I try my best to get through each day, lol! Sometimes that’s all we can do, Paula. One day at a time. And that’s part of why my goals are for the whole year, so I can take one day at a time and change myself a little more each day. Happy New Year Ginger! Thanks for sharing your personal and professional goals for the year. I have never been a person to make New Year’s resolutions, but did have goals. As a retiree, I also just take one day at a time. To be flexible and enjoy each day God has give us. Best wishes. Our worship team’s running joke is that our middle name is flexibility because many Sundays we’d come in and the whole set of songs we were scheduled to sing has been changed–either the song is different or it’s being sung by a different lead and thus is in a different key. We learned to be flexible and go with the flow. I love your goals Ginger, and your words are very encouraging! I plan to work on my health, weight and wellness too. I was making good progress last year until I started in with all the rich holiday food, ugh!Back to square one, but as the saying goes, fall down 7 times, get up 8! I wasn’t in search of a “one word” this year, but God dropped one right in my lap. I’m not feeling so “shiny” right now, but Arise, SHINE fits with all my goals, physically and spiritually, your too I think. So go conquer all those goals Ginger, and SHINE! I’m right with you, Tracey, when you talk about the rich, holiday food and being back to square one, though I didn’t get back up to my starting weight, so that’s good. What a great verse. I had that last year. I wasn’t searching for a word, but one kept dropping in my lap. This year, nada. And that’s okay. God’s got this. Thanks for the encouragement. Back at ya!!! I loved this. Thank you for sharing. I pray you meet your goals. Ginger, I wish you all the best in reaching your goals. I’m still thinking mine through. Thanks, Merrillee. Best wishes on that. It’s not easy deciding what to reach for. I don’t set goals (though, I love your weekly meal planning idea) or make resolutions. Like Paula Marie said, it’s hard enough just getting through each day. My life is so up in the air anymore these days, it’s a chore just doing what needs to be done, lol! But I do love your meal planning idea, that’s something I can go for. I dread the every day question of “what are we having for dinner”, especially if I don’t know myself or haven’t already planned ahead. It’s not a matter of being organized or knowing what ingredients I have on hand, it’s just simply the idea of feeling like I’m the only one coming up with a meal. After 22 years of being the main cook, it gets old…lol! Though I have to say, there have been times where my husband has surprised me with a list of meal ideas for the week…that helped tremendously! I loved seeing your goals for the year & I pray that you are able to accomplish all that you set your heart out to do. There will probably be times (often in my own life too) where you will get discouraged or simply say to yourself “I don’t feel like it today” or whatnot; but keep pressing on! And don’t beat yourself up if you miss a day here and there, it happens :-) Just pick yourself up the next day, dust yourself off and start over. Even the littlest steps are steps, right? Little steps is right, Trixi, and there’s nothing wrong with one day at a time. I’ve been doing it for most of my life. Sometimes taking the next step, whatever that step may be, is the best we can do during certain seasons. Natalya, peace is sometimes hard to come by externally. Peace internally allows us to deal with whatever circumstances we are faced with. I pray that peace for you. HAPPY NEW YEAR GINGER THANK YOU FOR SHARING YOUR GOALS GOD BLESS YOU! Thanks, Sarah. Happy New Year to you as well.